I have to say that still, months after the announcement of Warlords of Draenor, the most surprising and interesting change that has been announced still relates to the gear. During Blizzcon they made an announcement that gear would change its primary stat based on the spec you are currently equipping it under. This means no more healer plate that no one wants, but instead multifunctional items that can be equipped in theory by any plate class. The catch however is that secondary stats will not change, meaning we will have a situation similar to the Timeless Isle. On the isle you can get tokens for 496 epic gear, but the stat assortment is random, meaning you will end up with several items that are less than optimal… but still functional for your current spec. That said, having gear that transforms for you should at least in theory cut down on the sheer number of items that you need to carry around in your bags. Since the advent of dual specs, this has meant that pretty much every player carries with them two full sets of gear, which doesn’t take into account any weird situational fight based items (yes I have a few of these). In a game with as small of bag sizes as World of Warcraft, this quickly becomes painful. Yes I consider 28 slots to be small especially when you consider I am used to having 6 44 slot bags in EQ2 with another 20 44 slot bags in my bank. One of the big disappointments from the announcement however is that they seem to have stopped short of making this strategy work for the whole PVE vs PVP gear divide. 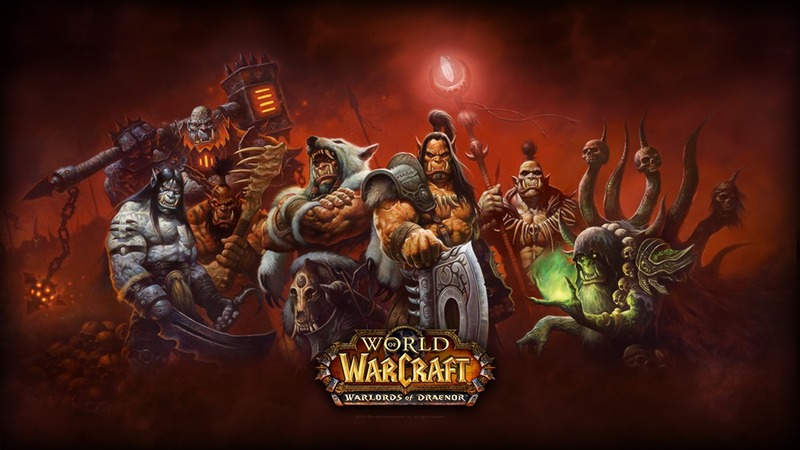 One of the odd things about coming back to WoW and playing it seriously after spending several years playing other games, is it gives you a unique perspective that many devoted WoW players simply do not have. Quite frankly other games do a lot of the same functionality that World of Warcraft has, far better. I have noticed a big trend in these games to jettison the concept of PVP only gear, and in most cases I have to say the games are far better off for doing this. My question is… if they have this wonderful new tech that changes out the primary stats on gear based on the spec in which you are equipping it… why not carry these changes to whether or not you are in player vs player combat? I don’t know for certain the specifics of the gear change, and honestly at this point I think the only people that do are knee deep in the bowels of Blizzard actively coding on it. However I have to assume that most of this functions based on the Item Level of an item. There has to be a direct correlation between ilvl X equates to X Strength or X Intellect. Why not carry this same logic forward to PVP gear in general. At a certain ilevel every single item tends to have the same resilience and pvp power etc. Why not make these latent stats on every single piece of gear in the game? There will always be players who only care about PVP and always be players that only care about PVE. However without really meaning to you are asking players to choose which game they want to play. In both raiding and pvp you have drawn lines in the sand based on gear determining at what point someone actually becomes effective. In order to be anything but canon fodder in on a PVP battleground you need a certain level of the PVP focused stats. This makes breaking into PVP a horrendously frustrating experience for most players. Sure there is a crafted set of PVP gear, and anyone with enough cash or tradeskill expertise can knock this set out and be relatively competitive. However this is a pretty huge chasm to cross going from the PVE world to the PVP one. The same is not really the case going from PVP to PVE, since the majority of PVP gear is functionally effective to start raiding without being too much of a drain on the raid group that is hosting you. Additionally since Blizzard seems to relish forcing PVE centric players to PVP… I am looking at you legendary cloak quest line. It seems only fair to simply do away with the stark difference between PVP and PVE gear at this point. I am sure there are PVPers out there that can make the same frustrated argument that they hate being forced to PVE. Making all gear function in both situations seems like a win across the board to me. Gear should be gear, regardless of how you got it… and so long as the “effort” requirements are the same… either through weeks spent learning PVE content or weeks spent gaining honor… the end result should provide similar rewards. 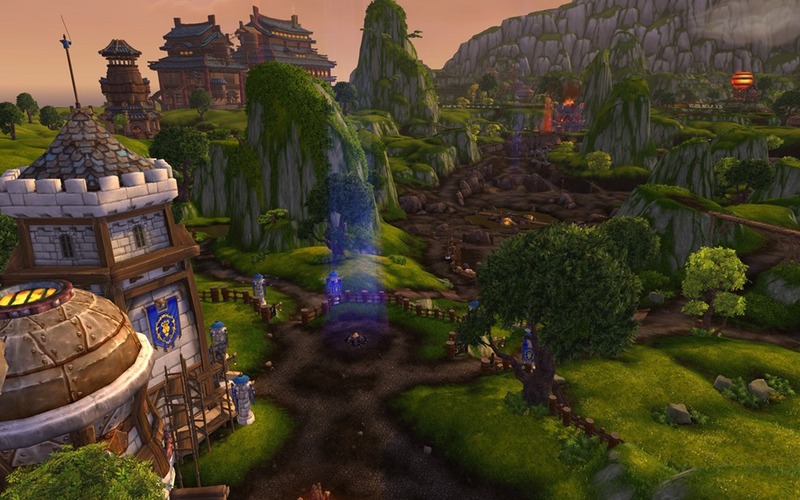 The strength of World of Warcraft is that it is the total package. Like I said before, there are many games on the market that do this or that aspect of the game better, but no product offering has as many high points for as many different play styles as WoW does. It is because of this that the line in the sand between PVP and PVE feels all the more arbitrary. Let players play the game however they like and reap similar rewards from whatever activity they choose to do. Then again my whole multiple paths of progression diatribe is another topic for another day. I feel like WoW should embrace the “Wal-mart of MMOs” moniker, because it isn’t necessarily a bad thing. There will always be niche games that do certain things far better, but it stands alone as the best complete package.